In the late 1970’s fresh ideas were sprouting in American culture. Modern medicine was beginning to consider the value of prevention, nutrition, and the mind/body connection. Science, psychology, and religion were entering into creative conversations. Seeds from Eastern philosophies were being planted in the West, cross-fertilizing, and blossoming into a new, global spirituality. Music, dance, literature, and art from all over the globe were influencing each other in exciting ways. And social change movements like feminism, civil rights, and environmentalism were changing our cultural identity and societal structures. Omega Institute came to life in these rich and changing times. Founded in 1977 by Eastern meditation master Pir Vilayat Inayat Khan, holistic medical doctor, Stephan Rechtschaffen, M.D., and educator, Elizabeth Lesser, Omega was conceived as a place for personal growth and social transformation; a university for life-long learning and for learning how to live together on our small planet; and an environment for the evolution of consciousness and culture. We took our name from the writings of Teillhard de Chardin, a 20th century Jesuit priest and evolutionary biologist who spoke of the “Omega Point,” or the point of unity toward which all of life is moving. This movement toward unity, balance, and wholeness—within an individual and in the culture at large—is also expressed by the word “holistic.” And so, Omega Institute for Holistic Studies was born. When our doors opened in 1977, a few hundred inquisitive participants walked through. Every year since we have grown, welcoming more and more people from around the world to form what we call the Omega community. In 2013, over 25,000 guests attended programs at our Rhinebeck campus, our urban conferences, and at travel sites around the country and world. We now reach millions more through our website and social media outreach. Over these 36 years, our talented staff and leadership have also grown, and together we have produced more than 7,000 workshops and conferences, featuring more than 15,000 faculty and speakers, many of whom began their teaching careers at Omega and went on to become renowned in their fields. Omega has grown into an institute of influence way beyond our early imaginings. We are now one of the largest and most trusted continuing education centers in the world. 36 years ago our signature coursework—holistic health, mindfulness meditation, humanistic psychology, yoga and other body-centered wellness practices, women’s empowerment, ecumenical spirituality, conscious social change, and world music, literature, and art—were far from the mainstream of American thought and practice. But today our teachers are featured in the press; medical schools train their doctors in the subjects we helped pioneer; and a diverse cross-section of people from different backgrounds, ages, and regions turn to Omega for direction in matters of personal health, professional development, spiritual council, and thought leadership. Our coursework is continually evolving, staying true to our mission, while also exploring innovative trends. As the times change, we have expanded into new topic areas, including socially conscious business, leadership, healing from addiction and trauma, energy medicine, sports training, and professional instruction in a variety of careers. Two areas of current focus are environmental sustainability and women’s empowerment and leadership. VISION: Omega envisions a world where all people can awaken their full human potential while caring for each other and the earth. People the world over carry within them a longing for wellbeing, creativity, connection, and a sense of purpose. At all stages of life, we want to develop the talents and understanding we need to live well, to rise to our challenges, and to be valuable members of society. In other words, we want to awaken our full human potential. This is at the core of Omega’s vision: educating people to develop and use the fullness of their intelligence—body, mind, heart, and spirit. We may think of intelligence as the capacity to solve logical problems, but brain and social scientists now speak of nine forms of intelligence, including emotional, physical, and spiritual intelligence. All humans have the potential to develop and balance these ways of knowing and being, yet most education systems are weighted heavily in only one area—logical intelligence. This has left us an unbalanced species, with untapped resources waiting to be uncovered and used. Omega Institute’s curriculum is education for the whole person. Our workshops, conferences, and trainings teach people how to develop their varied intelligences, so that they might care better for themselves, each other, and the earth. The nine forms of intelligence include not only logical intelligence, but also emotional intelligence, which is also called inter-personal intelligence because it involves knowing and responding to what you feel, as well as what other people feel; bodily kinesthetic intelligence, which is about accessing the information and wisdom stored in the body; natural intelligence, which involves understanding patterns and systems found in nature; and intra-personal intelligence, also called spiritual intelligence, or the ability to explore the perennial questions of life and death and to experience awareness beyond the ego and body. Omega’s mission is to help people awaken their multi-intelligences. We believe that the answers to our most stubborn problems—as individuals and as a global community—will be found in the fullness of our human potential: our brains and our bodies, our feeling hearts and our intuitive souls, our masculine and feminine qualities, our earthbound wisdom and our eternal questing natures. We cannot hope to find new ways to live and thrive using only part of our consciousness. Albert Einstein said it best: “No problem can be solved from the same consciousness that created it." MISSION: Through innovative educational experiences that awaken the best in the human spirit, Omega provides hope and healing for individuals and society. Recent studies show that life-long learning keeps the brain buoyant, enriches daily life, and helps people adapt well to change. Other studies reveal that one’s connection to supportive people and to the beauty of nature are key ingredients for health and happiness. Life-long learning, compassionate community, and respect for and care of the natural world—these are the pillars upon which Omega stands. For over 36 years we have built on that foundation, and have become a trusted place, a circle of friends, and an oasis of spirit, for people around the world. Our mission is to provide educational experiences that help people deal well and wisely with the issues of their lives and times. People come to Omega looking for inner peace and a sense of stability and presence in the speeded up pace of daily life. They turn to us to find balance, creative zest, and vibrant health. They visit our campus to connect with likeminded people and with nature. And they come searching for ways of handling change—whether its changes in one’s health or relationships, job or organization, or changes in the greater world: climatic, economic, social. They come with questions: How do we accept, grow with, and master change? How do we fire up our creativity and call forth hope and healing for ourselves and the world? These questions are at the core of our mission. Dr. Virginia Satir, one of the founders of the “human potential movement,” and an early faculty member at Omega, wrote that the purpose of education should be to move people “toward more joy, more connectedness, more accomplishment, and more opportunities for growth." Our mission is to do just that: to provide the kind of educational experiences that awaken the best in the human spirit, and offer hope and healing for individuals and society. One of the tenants of holistic education is that place and community influence a person’s capacity to learn. Education researcher and author Robin Ann Martin writes, “What distinguishes holistic education from other forms of education are its attention to experiential learning and the significance that it places on relationships and primary human values within the learning environment.” Omega has always put as much emphasis on the learning environment as we have on our selection of workshops and faculty. We have seen the immediate effect that a sense of safety, camaraderie, and natural beauty has on the over-all learning experience. In Omega’s experiential learning environment, concepts and techniques that may be difficult to comprehend and retain through books or traditional schooling are acquired more easily, understood more deeply, and put into practice more readily at home and in the workplace. Experiential learning takes place within a community. Our participants often report that a sense of community is missing in their daily lives. They come to Omega not only to learn, but also to connect with others, and to experience a sense of belonging. In a series of ongoing studies, first published in 2007 in the Journal of Personality and Social Psychology, social psychologist and Stanford professor Gregory Walton examined the need for humans to belong—to each other, community, and place. “Belonging is a psychological lever that has broad consequences,” writes Walton. In his studies, Walton found that a sense of belonging “to a greater community that may share common interests and aspirations” is fundamental to happiness, motivation, immune function, and longevity. 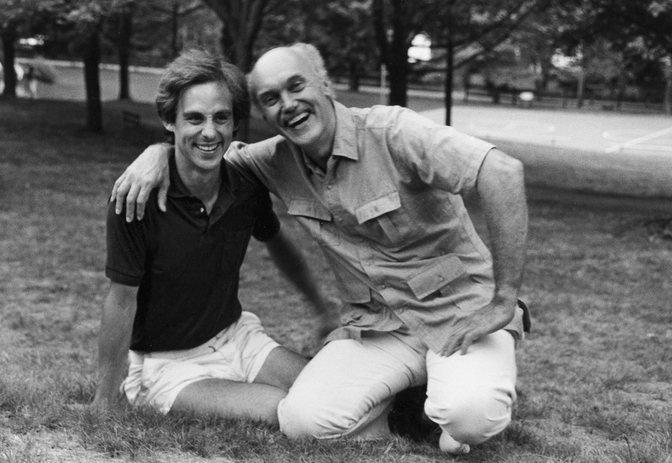 In order to create community and deepen the holistic learning experience, we purchased the site that is Omega’s Rhinebeck, New York campus in 1980. Set on 140-acres, the campus is in the Hudson River Valley, an area famed for its historical contribution to American’s arts and education, and for its natural beauty. We have lovingly restored the original campus structures, and have also added a Wellness Center, Meditation Sanctuary, bookstore and café, yoga studio, new classrooms and performance spaces, housing cabins, extensive gardens, and a library. During our season, we normally welcome more than 500 guests each week. In alignment with the coursework being taught, we serve healthful meals, house our guests in a tranquil and natural settings, and build and maintain spaces for a cornucopia of educational programs, recreational and sports activities, entertainment, and quiet contemplation. Omega is also renowned for its sustainability initiatives. At the heart of our environmental work is the Omega Center for Sustainable Living (OCSL). The OCSL is a state-of-the-art water reclamation facility and environmental education center that meets the highest standards currently available in sustainable architecture. It has received LEED® Platinum certification and is the first project in the United States to receive the Living Building Challenge designation. Omega participants as well as schools and municipalities visit the OCSL to observe the Eco Machine™ treating wastewater without chemicals, and to get a close-up look at the solar and geothermal systems that provide energy, heating, and cooling for the building. We are now integrating other ecological methodologies into the infrastructure of the rest of campus, and developing curriculum about sustainable design and processes. One of most exciting aspects of Omega is how the world shows up on our doorstep. People from all over the globe, of different ages, and varied professions visit our campus and our website, attend our workshops and conferences, and stay in touch throughout the year. We have become a hub for many different groups of people who gather at Omega, learn from each other, form life-long friendships, cross-pollinate ideas, and stimulate innovations, collaborations, and thought-leadership. skill-building and thought leadership in the areas of business, organizational development, women’s issues, the environment, and other social change areas. Omega Today: The Movement From "Me to We"
From our earliest programs in the 1970s, Omega has always addressed the needs and interests of a wide spectrum of people. Our focus has never only been on personal growth or health, but has also looked outwards, toward the evolution and healing of society and the environment. We believe that the health of the individual is connected to the wellbeing of all people, and the earth itself. Besides offering workshops for individuals seeking health, personal transformation, and increased joy and creativity, we have always offered conferences, workshops and trainings that address work and global issues, including: Career Development, New Economics, Time & Stress Management, Healthcare Change, Workplace Change, Women’s Empowerment, Entrepreneurism, Organizational Development, Leadership, Communication and Negotiation, Trends and Futurism, Socially Responsible Business, Women, Power and Leadership, Nonviolence and Peacemaking, Diversity Training, Racism, Ecology and Sustainability, Mentoring, Activism, Education, Science and Religion, Interfaith Communication, and Veteran's and Post Traumatic Stress. We continue this tradition today. Many people come to Omega looking for ways to focus inward—to find inner peace and personal healing. Others come looking for ways to further their careers and to become more engaged with bringing peace and healing to the world. And of course most people find themselves in the middle of that spectrum, interested in developing and healing both sides of their personhood—the inner and the outer. Some call this interconnection of inner and outer “engaged spirituality” or “spiritual activism.” Martin Luther King, Jr. called it "Love in Action," and Gandhi called it "Soul Force." Both acknowledged the critical importance of applying self-compassion and inner peace to one’s work for peace and justice in the world. At Omega, we call this the “journey from me-to-we.” We like the idea of continual movement across a lifetime, the back and forth of different stages of growth—times in one’s life and work when there is the need to attend to one’s wellbeing, and times when the call of the world is strong. We are interested in how inner peace sustains and deepens one’s work in the world, and how social engagement increases personal growth and spiritual wisdom. The movement from me-to-we is ultimately based on Einstein’s idea that the world’s problems cannot be solved from the same consciousness that created them. It takes a change in human consciousness to change the systems humans have created. Running throughout Omega’s curriculum, across all disciplines, is the unifying principle of the ability each of us has to evolve into broader perspectives, kinder hearts, and a higher consciousness.